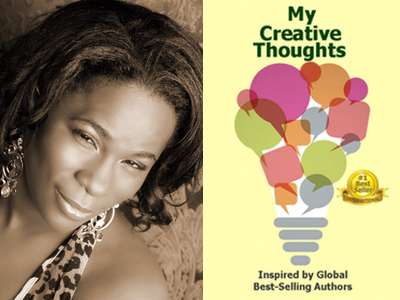 Desziree Richardson is featured in Expert Insights’ #1 Int’l Bestseller, My Creative Thoughts Journal! Desziree Richardson was born and raised in Anguilla British West Indies and has worked in the radio Industry in Anguilla and the Caribbean for over ten years. She has created and produced two successful radio shows, interviewed famous personalities, politicians, and professors. Throughout her career as a public speaker, radio, television, and onstage presenter, she has travelled around the Caribbean, New York, Ireland, and London hosting at some of the most prestigious events, pageantry and award ceremonies. From a young age, as a girl living in the Caribbean, Desziree Richardson had a desire to work within the radio industry in the UK. Since migrating to London in 2008, her desire and passion drove her to study a diploma in Advanced Media and Radio Productions Diploma and Radio Production at Lambeth College and a degree in Broadcasting at the University of West London. We have taken over 900 Authors to Bestseller! Will you be next? 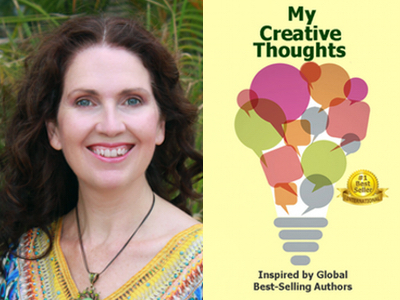 Sarah Jane Michaels is featured in Expert Insights’ #1 Int’l Bestseller, My Creative Thoughts Journal! International relationships expert and multiple bestselling author, Sarah Jane Michaels, aka The Love Magnet, increases people’s chances of striking a true love match. Through her highly successful strategies, programs, and live events, she offers the essential ingredients for relationship transformation, love re-ignition, and even beautiful breakups. 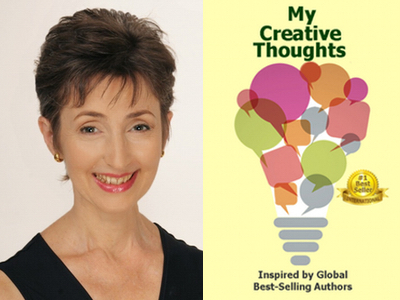 Dr. Susan Lange, OMD is featured in Expert Insights’ #1 Int’l Bestseller, My Creative Thoughts Journal! Susan Lange, O.M.D., L.Ac., stems from generations of healers: her grandfather was studying Western Medicine at Charing Cross Hospital in London when World War One broke out; her great Grandfather trained in Western Medicine at Edinburgh University, and her Great Great Grandfather was a Homeopath and minister in the West Indies. Born and brought up in the Far East and Hong Kong, she was a firm believer in Western medicine until she herself became seriously ill on a journey to India at the age of twenty. After fruitlessly visiting ten different Western doctors in the space of one year trying to get well, as a last resort she ended up at the Hospital of Tropical Diseases in London. When presented with drugs and pain killers as the only option (for the rest of her life) she realized that she had to change her path completely to find true inner health. In order to heal herself, in 1974 she embarked upon an intense training in Alternative Medicine, Acupuncture and Herbology – continuing into Spiritual Healing, the study of Core Energetics, a Body Oriented Therapy, Cranio-sacral work, Pre and Peri-natal Birth Training and Trauma Healing. Dr. Lange has been teaching since 1983. In 1990, she co-founded the Meridian Center for Personal and Environmental Health – a center for Alternative Medicine and Acupuncture, in Santa Monica, California with her husband, Dr. Julian Lange. This became a busy non-toxic, Bau-biologie inspired clinic based on the principles of healthy green building and Feng Shui. After many years, she and her husband downsized their clinic, choosing to offer their students a deeper, more comprehensive level of healing through workshops, writings and private sessions. 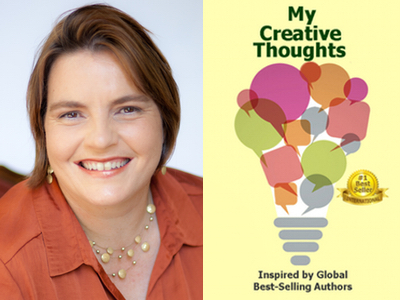 Ruth Thirtle is featured in Expert Insights’ #1 Int’l Bestseller, My Creative Thoughts Journal! After 15 years of hospitality management and recruitment experience, Ruth Thirtle established her own business in coaching. As the Business Results Catalyst, Ruth helps business owners with inspiring, profitable conversations, and how to use relationship marketing strategies to boost their business relationships and profit. She has worked with the world’s largest business referral organizations, including BNI and 4Networking. Ruth blogs regularly for the Business Blogging Network, Women’s Network Australia, and her own blog, Business Networker. In addition, she is an NLP Certified Master Coach and Trainer. She has contributed to a number of business books, including The Power of One, SocMed: Social Media for Business, and Winning In Life and Work. Through her virtual business boot camp, Advance Your Business, she helps people learn and implement the Five Keys To Business Success Through Strong Business Relationships. 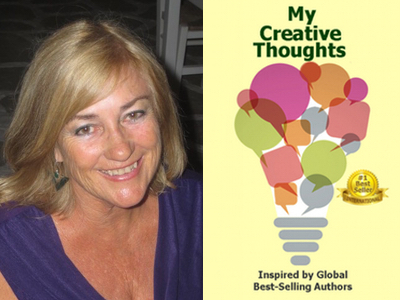 Gail Saunders is featured in Expert Insights’ #1 Int’l Bestseller, My Creative Thoughts Journal! Gail Saunders, a global resilience catalyst, helps you create your ideal life by breaking through limiting thoughts and beliefs no matter the circumstance. She inspires by example, saying yes to life even after her beloved husband died. Residing on a Greek island, her compassion, presence, joy, and wisdom permeate everything she does, and she impacts lives through her book, coaching, workshops, and speaking engagements. Gail is the author of Resilient Heart ™: Transcending the Death of Your Loved One. 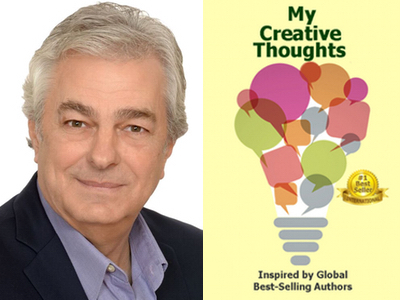 Philip G. Ross is featured in Expert Insights’ #1 Int’l Bestseller, My Creative Thoughts Journal! Philip G. Ross has made it his life purpose to help others discover and manifest their life passion and purpose. To this end, Phil wrote and produced Soul Destiny, a powerful progressive personal development series that takes participants from their current circumstances and recreates a new direction in life. Three very significant and powerful products that are progressive and life changing accomplish this – his Soul Destiny Discovery Day, Soul Destiny Home Study Library and a 3-day multimedia, multisensory, experiential workshop. 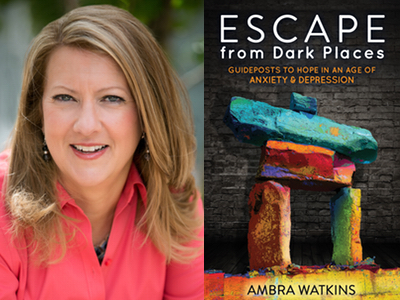 Congratulations to Ambra Watkins for her #1 Int’l Bestseller, Escape from Dark Places! #1 International Bestseller, Escape from Dark Places: Guideposts to Hope in an Age of Anxiety & Depression. Author and speaker Ambra Watkins is a Boomer mom intrigued by the Millennial generation. She is concerned for trophy kids whose high expectations crashed into the reality of an economic downturn and for parents who are trying desperately to help them find purpose in the postmodern world. With an MA, a PMP and fifteen years of experience, Ambra uses her knowledge and expertise to provide young people with tools for triumph over anxiety and depression through effective intergenerational dialogue. Ambra’s new bestseller, Escape from Dark Places, is about her journey as a mother to find answers to her son’s anxiety and depression. Her discoveries offer a new framework for action that will enable all of us—parents, grandparents, church leaders, and mentors—to be part of the solution.